Everything about this resort is first-class. Staff was exceptional comparable to Hotel Nikko (Saigon) in professionalism and friendliness. Dining experience was exceptional. Garden, views, landscape, and pool were some of the best in the country. This hotel is in a great location because it's a short walk to town. 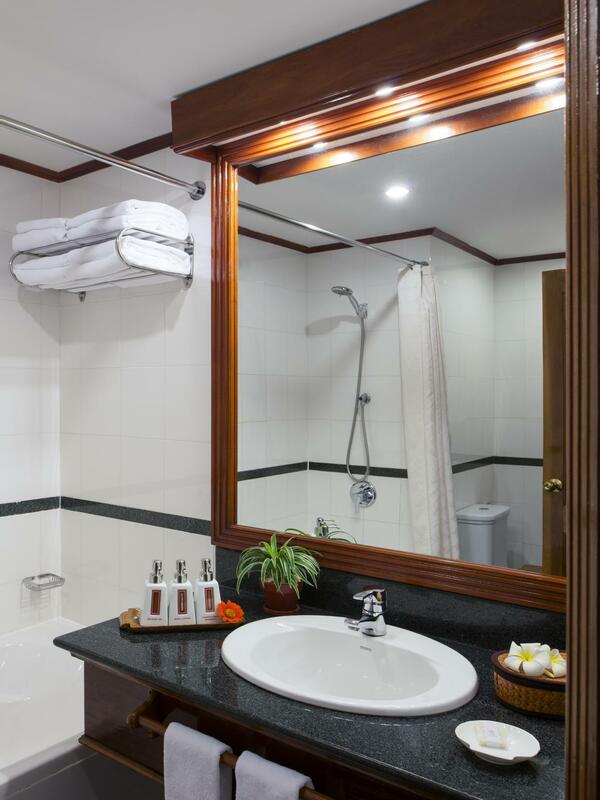 It has the feel of a colonial hotel but it is not outdated in anyway and the facilities are very good. The restaurant provided one of the best meals we had during our three week touring holiday. Most of all, the staff were friendly and helpful without being over the top and the place has a genuinely welcoming and "family" feel rather than being entirely corporate. One thing that really pleased me was that they had lots of house plants and they cared for them really well: not the sort of touch that you see in something like Hilton hotels. We had a lovely two day stay at this hotel. 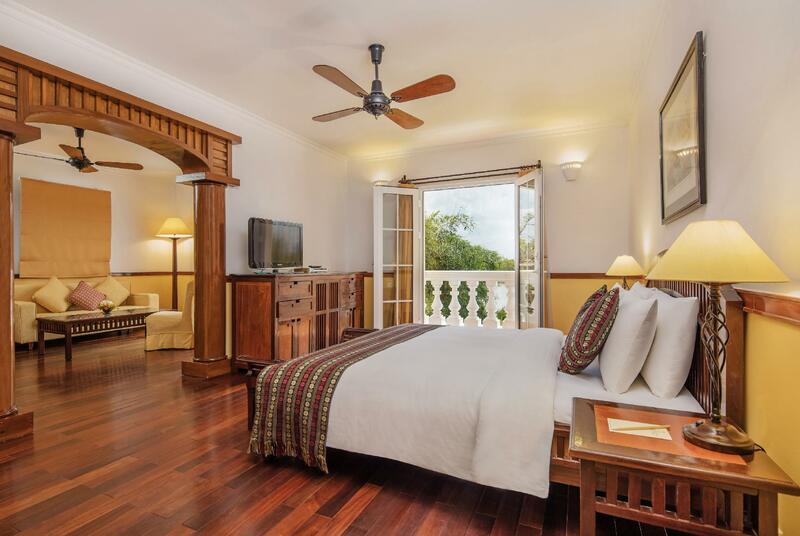 Very beautiful and freshly renovated colonial style hotel. It was so lovely that we ditched our itinerary for the day and spent it at the hotel instead as we had three young children desperate to spend time in the pools (At least, most of the day - we did go to a local cooking class in the afternoon). There were very few guests in the hotel at the time (rainy season? even though it didn't rain once in the three days we had in the Mekong) so this added to the retreat feel of the hotel. The staff were helpful and attentive and the food in the restaurant though relatively limited in choice was of excellent quality, including the very reasonable kids menu. We had well-appointed connecting rooms overlooking the pool. Really enjoyed this hotel. We loved our stay at Victoria Can Tho resort. Everything was lovely. The room, food, service, facilities and location were all excellent. The resort is a short walk along the river from the city centre and market areas. Alternatively you can take the hotel boat shuttle into the city centre. We went on the floating markets and cycling tour and it was great! A very early start but worth it. Overall a really enjoyable stay. Dear Gabriella, Thank you for spending your time to review our services. 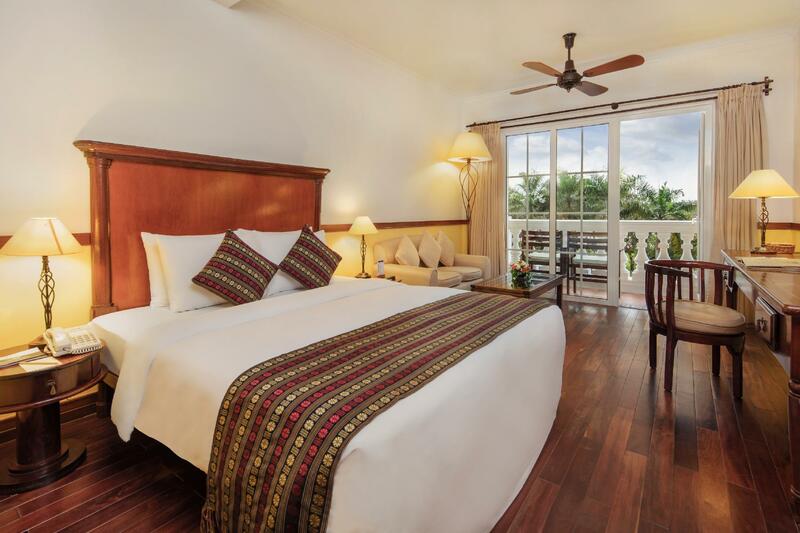 We look forward to welcoming you back to Victoria Can Tho Resort! Have a nice day! Dear Susan, Thank you for spending your time making this valuable comment. We will consider your feedback for better service. Wishing you a wonderful day! We took the Victoria River Cruise from Cai Be to Can Tho. We arrived about 10am at the Resort on the second day and our transition from boat to hotel room was seamless. The restaurant for breakfast and dinner was exceptional. The River Cruise was really impressive. Highly recommend the two together. We really enjoyed our stay at Victoria Can Tho. It has a great colonial feel to it. Rooms are not fancy, but very clean and functional. Bell boys are excellent and try to connect with customers. Bar staff can improve, as not as attentive as we hoped for. Location is great however you have to walk to the city center around 15 minutes. My children loved the 2 pools and the pool table. Dear Mareen, Thank you so much for your valuable feedback. Looking forward to welcoming you back here at our resort! Have a nice day! I had an excellent stay and felt everything was about 90% perfect. Staff sometimes seemed aloof and food is hit or miss, but otherwise, the hotel is superb on many levels. The "standard" room I got was excellent, and the breakfast was descent. Sometimes the staff seemed a bit like they are day dreaming of doing something else, but when they are focused, they are great. This is definitely not a 4 star hotel - it is 5 star. It is absolutely stunning. I have stayed there 4 times as a truly special treat while holidaying in Vietnam over the years. The staff went out of their way to make my sister's 70th birthday extra special. It is getting expensive for Vietnam but worth every cent - treat yourself! Don't forget to take the water taxi down to town - Sao Hom is a nice waterfront restaurant after having drinks at the hotel. breakfast was the best in 4 weeks of travelling in s.e. asia. family friendly, great pool, happy hour! 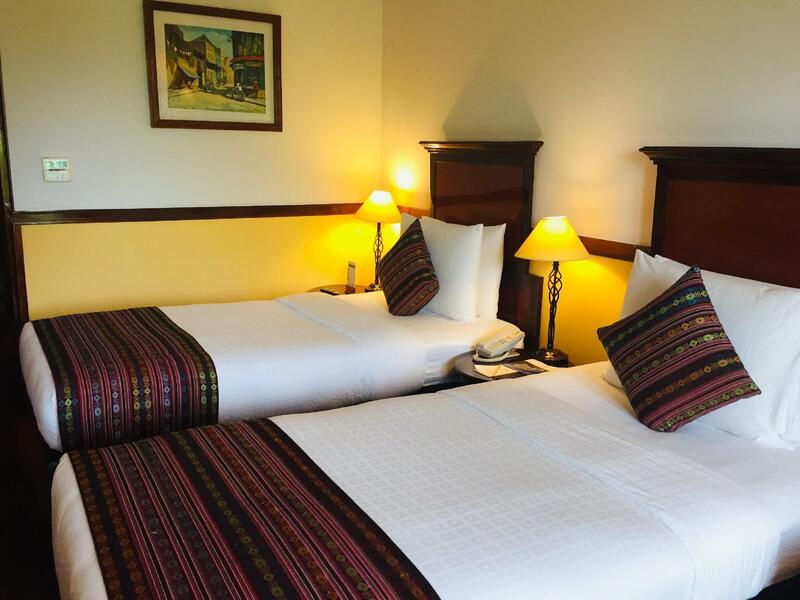 The Victoria Can Tho Resort is a lovely hotel, with many options for activities that can be booked directly from the hotel. With younger children (mine are 6 and 3) the activities are a little more limited because many excursions include cycling. However - still a few options for river cruises. We stayed in a suite, and had a mattress brought in for the boys. The room was spacious and comfortable. We enjoyed our stay and would recommend it to anyone. If you are willing to pay a little more but still be close enough to the city then I can truely recommend the Victoria Can Tho Resort Hotel. Away from the crowds and noise of the city this is really an ideal place to be. The hotel provides its own river shuttle service to get you into the heart of the city and is only 10 minutes away. When back at the hotel it is an ideal location to relax in great surroundings. Got to be the best hotel in Can Tho. Staff are superb. Hotel is out of the city but close enough with easy access to the city. Located right on the river in lovely garden setting. If you need to relax for a few days, this is definitely the hotel to do so in Can Tho. 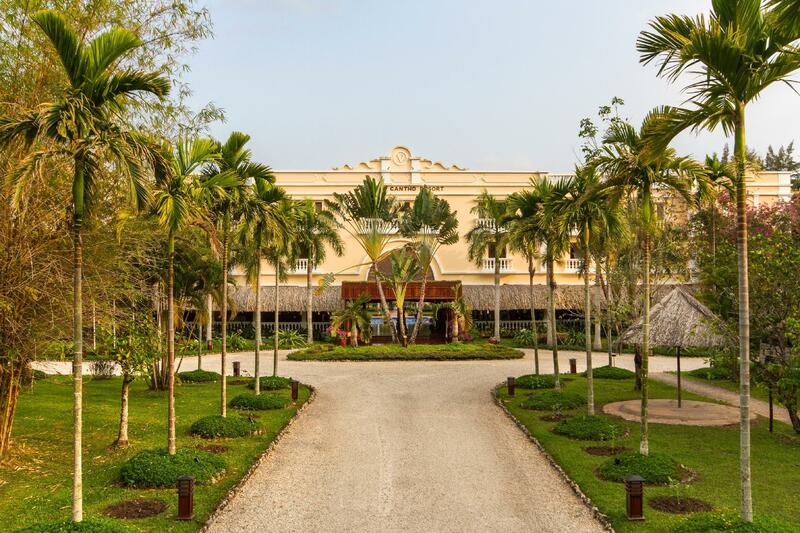 You are treated like royalty from the moment you arrive. This hotel is absolutely beautiful, located right on the Mekong. The rooms are extremely attractive and very comfortable. Loads of ambience. Treat yourself and stay here! this is the best option in town from service to room and cleanliniess. this is my 4th time staying at this hotel and it will absolutely not my last but will be continue in the future. they should give me a corperate rates. Victoria Can Tho is very well placed, the service is excellent and the architeture of the building very nice. it's a place where I come back with great pleasure. Riding a bike in the surroundings is great after visiting the floating markets. this is the 3rd time i have stayed at this beautiful french colonial hotel. for me it is reason enough to visit cantho. it is absolutely beautiful and you are treated like royalty the minute you arrive. the lobby area is breathtaking. 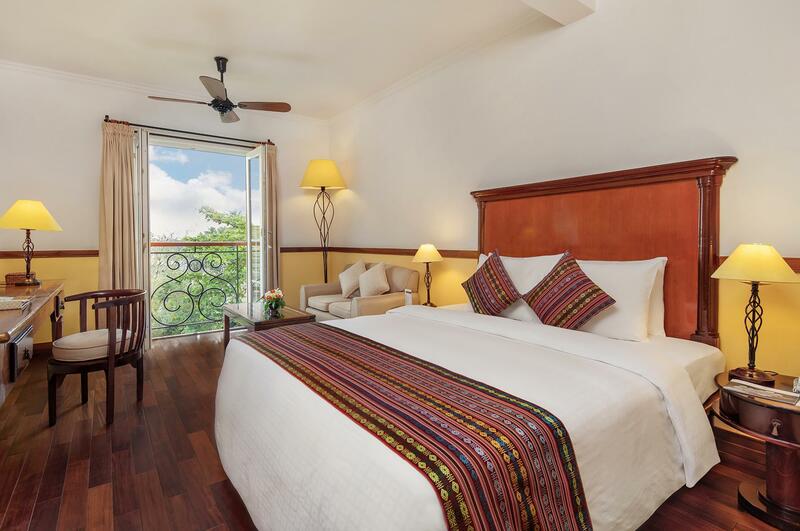 the rooms are also very nice - try and get one overlooking the pool/mekong if you can although the garden view rooms are still very nice. breakfast is extensive and would loads of variety. i especially love their water taxi to take you up to town - very nice in the evening to go up and back for dinner. I cannot reccomend this hotel highly enough. From the moment you arrive you are treated like royalty. the hotel is just gorgeous and the rooms are beautiful as well. recommend one with a view of the pool/mekong. their water taxi is lovely too and extra special to travel up to town for dinner and then back - wonderful sight with all the lights.